The game was originally going to just be called Sekiro, however, but From Software ended up going with the Shadows Die Twice subtitle because publisher Activision liked it a lot. Game director Hidetaka Miyazaki revealed this in an upcoming issues of Famitsu, according to leaked scans, which have since been translated by Reddit user DrowningOtsdarva. In that sense, Shadows refers to the way of Ninjas, seeing as the protagonist is one of them. Die Twice is a reference to the game’s resurrection mechanic, which lets you spawn back right where you died. This will use some kind of currency, and there’s a limit to how many times you can do it, according go the interview. It can also be used tactically, such as respawning after enemies have lost interest and moved away from your body, as a way of surprising them with an attack. And, much like the Souls series, the story will leave a few things to the players’ own interpretation, and it’s definitely not shooting for realism, despite the era of Japan it portrays. From the same interview, we also learned that Sekiro was nearly a Tenchu game before From Software moved away from the idea. 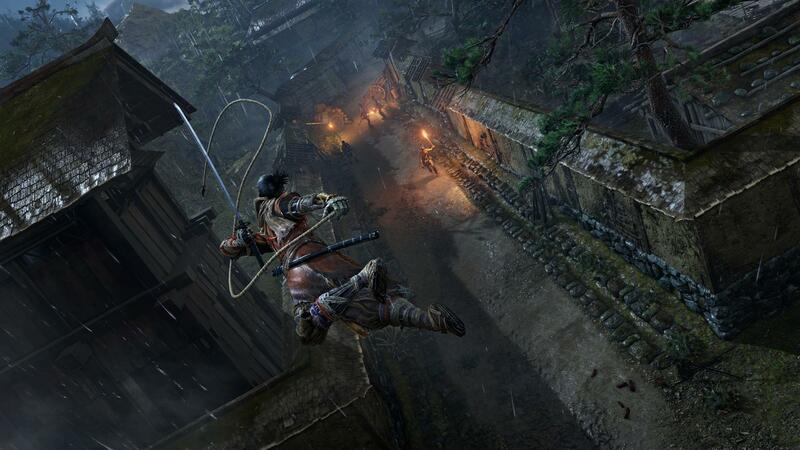 Sekiro: Shadows Die Twice is out next year on PC, PS4, and Xbox One.